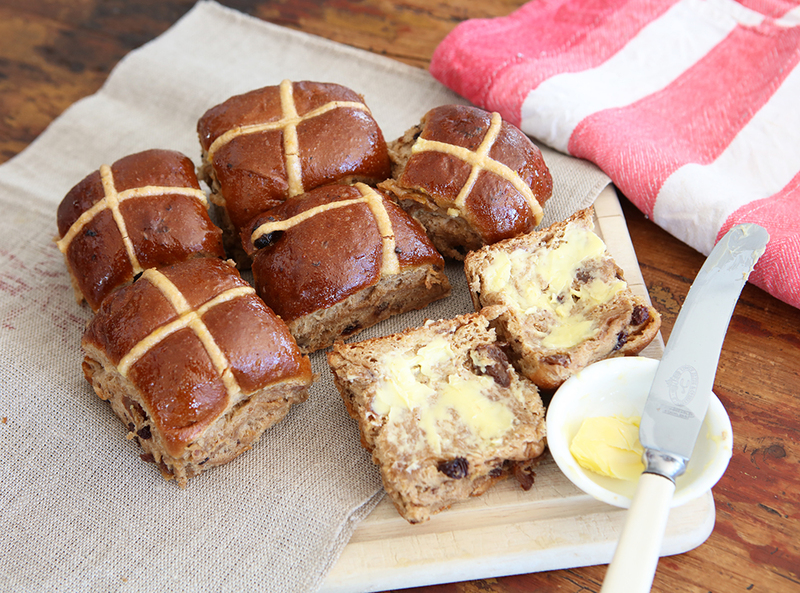 Bravo NZ host Cassidy Morris shares her favourite recipe just in time for Easter! For example, you can use any sort of fruit – try adding apple or apricots to the mixture to give it a sweeter taste (I love to do this every now and then). Also, don’t forget you can always substitute the flour, whether you prefer flaxseed flour or even just plain flour. 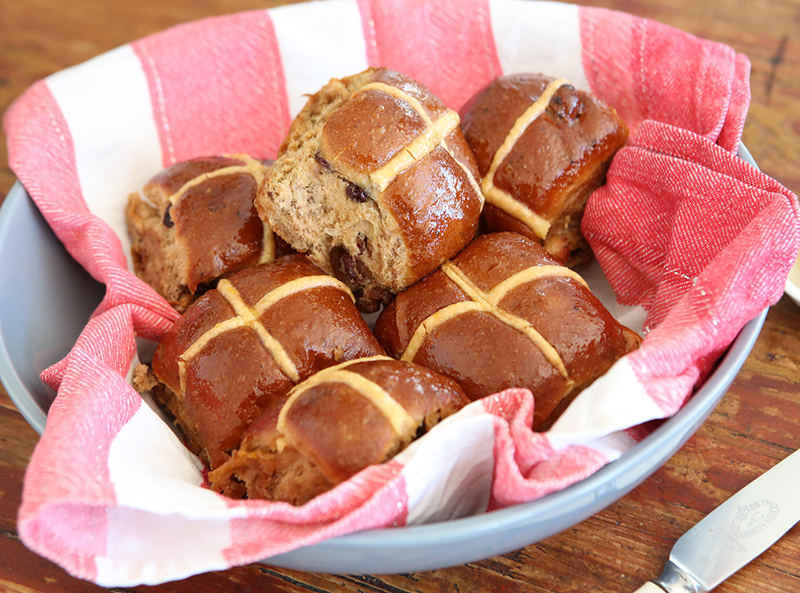 I remember having these as a child with strawberry jam, but I’ll let you in on a secret – grab some raspberries and heat them up for about 15 seconds in the microwave, then take some coconut yoghurt of your choice and pop that on top of your hot cross bun. You won’t look back. Enjoy! 4. Knead the dough for 5-10 minutes to ensure it’s well mixed. Lightly dust your hands with flour. Divide mixture into 12 pieces and roll each dough piece into a ball. 7. Melt white chocolate over the stove making sure you don’t burn it. Place melted chocolate in a piping bag or a plastic bag with one corner snipped off and pipe crosses on the buns.